What is the difference between a meteoroid, meteor, and meteorite? How hot do meteors get? 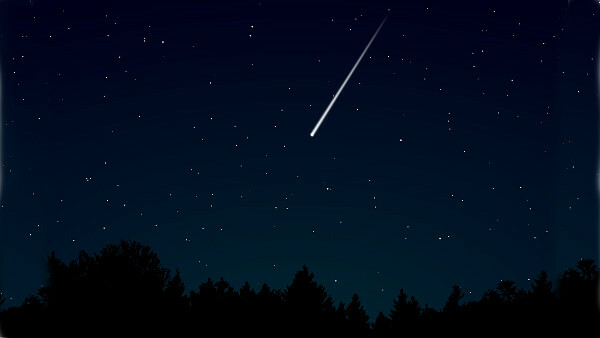 Shooting stars are also known as falling stars or fireballs – they are all meteors. In general, the upper size for a meteoroid is about 1m (3ft) in diameter, larger objects are considered asteroids. When an object enters the Earth’s atmosphere, and its velocity is fast enough, it will heat up. This heating occurs because the air in front of the object compresses (think about how air gets hot when you pump up a tire because you are compressing the air). Depending on the velocity and size of the object, the compressed air can reach temperatures over 1600°C. At these temperatures the outer layers of the meteor begin to vaporize – a process known as ablation. Most meteors burn up before reaching the surface of the Earth. If they make it to the surface they are called meteorites. meteor: the name given to the visible phenomenon from a non-terrestrial object “burning up” in the atmosphere. Meteoroids, meteors, and meteorites are not the same things.